The new Fryerfuels Recycled Biodiesel website was launched today. 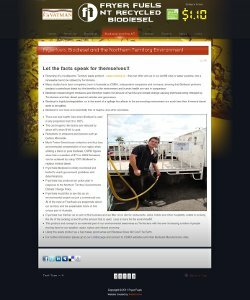 Although I have been testing Joomla 1.7 for a while and have migrated a few personal websites to 1.7, this is my first "official" Joomla 1.7 website launched for a client. Most extensions (or suitable equivalents) thankfully now seem to be available for Joomla 1.7. As usual for the web design, I have customised a recent RocketTheme template, in this case "Radiance". The client wanted a visitor counter and I found "JV Counter" very suitable. The fuel price is designed to be easy to update by the client. To this end, the "Text Magic" plugin is installed. Text Magic enables images generated on the fly from characters in a true type font to be inserted into an article (or in this case a custom HTML module). "JV Counter" and "Text Magic" are both free and have versions available for Joomla 1.5 too. When it comes to achieving a good search engine ranking it is important to choose a meaningful and relevant domain name. 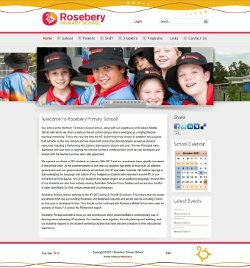 One of the latest sites we have created pngschoolbooks.com has only been on-line a few weeks and web development is still under way. Some basic search engine optimisation has been done on the web site. Searching on Google for PNG school books already shows the site ranking number 1! Don't pay thousands of dollars to search engine optimisation experts if an appropriate domain name is sufficient to achieve a good ranking in Google! Note that the amount of search engine optimisation work required is related to the competition for the particular key words. Successfully competing for popular keywords will require more than a well chosen domain name.